Jan Perry of Santa Rosa, California beams over her Colorado dream buck. 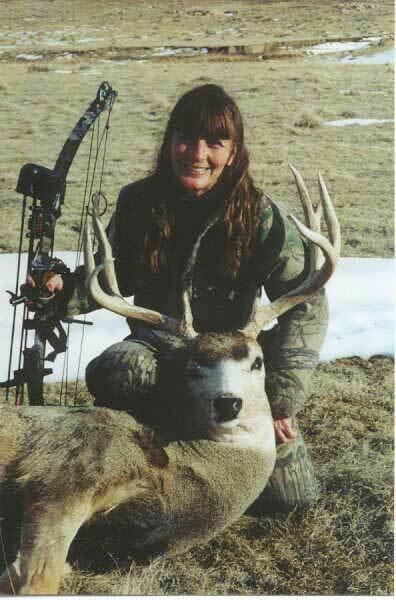 She took the 5x6 in southeastern Colorado with the help of guide Mike Hatfield during December 1999. Jan used a Horizon bow, shooting Beman arrows tipped with Wasp SST Hammer broadheads. A Golden Key rest and SME sight combined to help her take the buck.